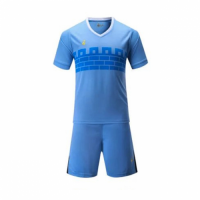 NK-509 Brilliant Team Sky Blue Soccer Jersey Kit. Its main color is blue with green details. 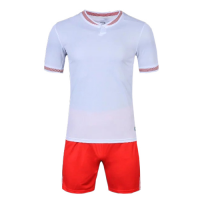 The design of the jersey and the shorts are modern. 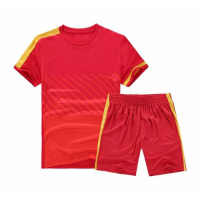 NK-509 Eye-catching Team Red Soccer Jersey Kit. Its main color is red with yellow details. The design of the jersey and the shorts are modern. 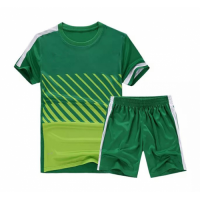 NK-509 Fashionable Team Green Soccer Jersey Kit. Its main color is green with white details. The design of the jersey and the shorts are attractive. NK-509 Attractive Team Pink Soccer Jersey Kit. Its main color is pink with white details. The design of the jersey and the shorts are eye-catching. NK-509 Attractive Team Black Soccer Jersey Kit. Its main color is black with green details. The design of the jersey and the shorts are eye-catching. 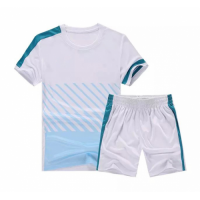 NK-509 Pure Team White Soccer Jersey Kit. Its main color is white with blue details. 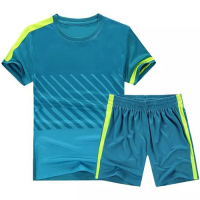 The design of the jersey and the shorts are modern. NK-509 Pure Team Orange Soccer Jersey Kit. Its main color is orange with blue details. The design of the jersey and the shorts are modern. NK-509 Sleek Team Blue Soccer Jersey Kit. Its main color is blue with white details. 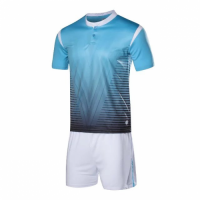 The design of the jersey and the shorts are fashionable.